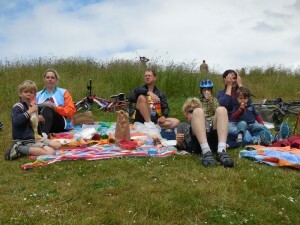 Yesterday we headed out on the bikes for a picnic lunch at Gasworks Park. Except for Ryan, who had done the route to his office the day before and was having some issues with a sore knee. He drove over in the car and met up with us there. 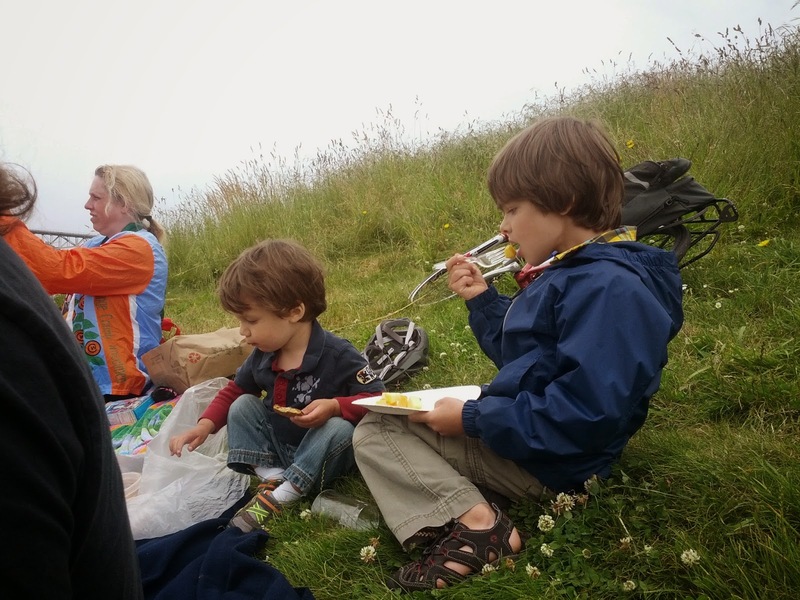 Our friends, the Redpaths, had invited us and chose the route we took. A little scary early on as you're riding in a very narrow bike lane (which cars often decide to partially park in) down a busy road, but once you get through that segment you're on the Burke-Gilman trail the rest of the way. We could've taken less busy roads down, but the trail is discontinuous over by us, which seemed like it'd be a little too nerve-wracking with so many younger ones along. Gareth got to ride the "new" 20-inch bike he inherited from Redpath's youngest and I pulled Malcolm and the food/blankets in their trailer. 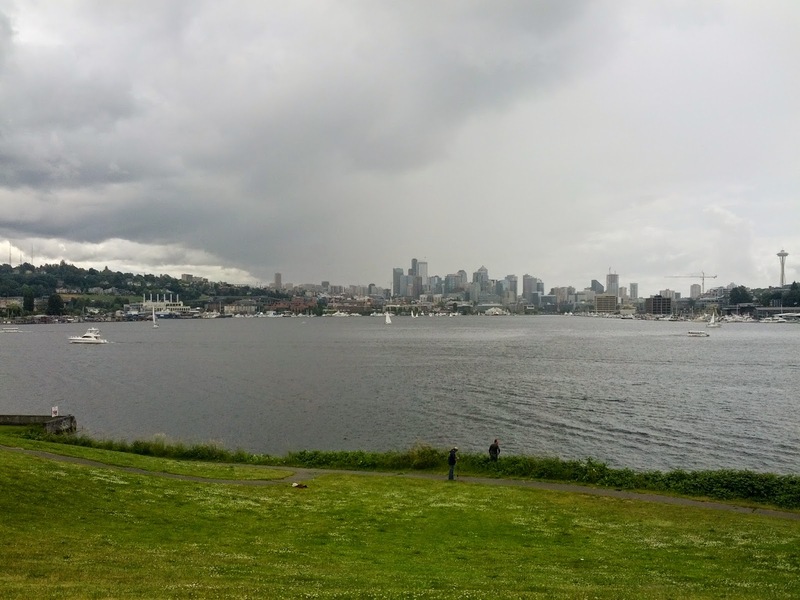 The weather was a bit iffy, but rather nice for riding. Cool and sprinkles of rain here and there. It was rather nice that Ryan drove up because that meant I didn't have to haul Malcolm and the trailer back home. The ride to the park is mostly downhill (down the busy street), but you climb a little over 300 ft on the way home. Not a big deal without the trailer, but definitely more difficult with it. But this is a ride that I'll likely do again (almost 10 miles round trip) over the summer, so I'm sure I'll get plenty of chances to get the workout riding home with the trailer provides!